Tech. Poulson Inc. – Duggan Brothers Ltd. 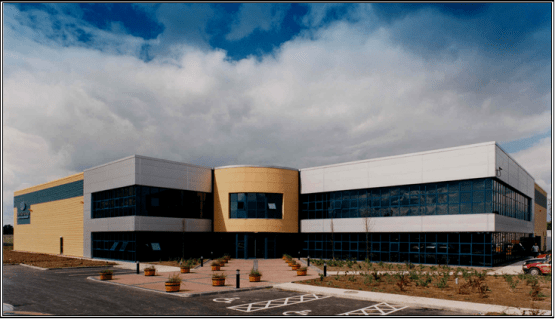 The Project consisted in the construction of an injection moulding manufacturing facility complete with warehouse, clean room and two storey offices, The building is of a steel framed construction with trocal roof and metal wall cladding panels with aluminium curtain walling to offices and reception, Partitions between elements of the production area were constructed using “Jumbo” metal studs with double layer plasterboard and fireboard, plaster skimmed each side to give the appropriate fire rating. 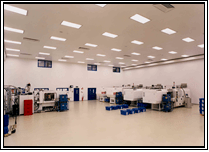 The concrete floor was formed using the large pour method of construction and the production area and clean room floors were finished with 3mm. coloured epoxy flooring surface. Apply For Tech. Poulson Inc.